Oh, Wow, @petter crossed 10k!! Party time, does a back flip. Along with the auto comments. 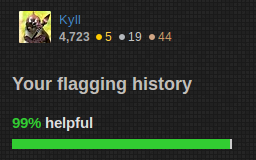 @Petter Hey, so what about that comment flag? Seems like the comment is now deleted. 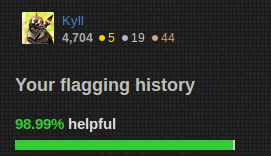 Was it marked helpful? 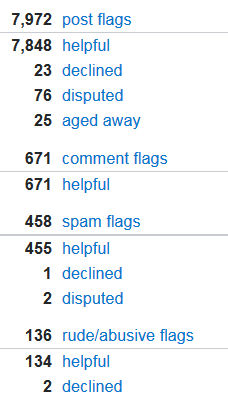 aahh wait let me check..
How many declined comment flags do ya guys have? @JanDvorak "oh crap they're making sense retreat RETREAT"
@Tuna COME ON IT'S YOUR TIME TO SHINE! Need to start the attacks again. Once upon a time, Only we both used to patrol NATO. NAAs used to stick around for 10-13 hrs. Now the trend has caught up. @Tunaki Do you have a link for that percentage indicator script? I'm like almost 99 except not. @Fermiparadox hmm that will be controversial.. Thanks friends. Should I post it SOCVR too? and some of the topics are mine so there I should be ok.
What did you write docs for petter? @TimCastelijns Yeah or a different rep bucket. @TimCastelijns you use butterknife right? how to unbind a listener on a button with butterknife? @TimCastelijns how many votes? more then 3? meeh I don't really know how it works... maybe rep matters etc. @BhargavRao Try expressing yourself another way. @que test You dirty stupid fish! 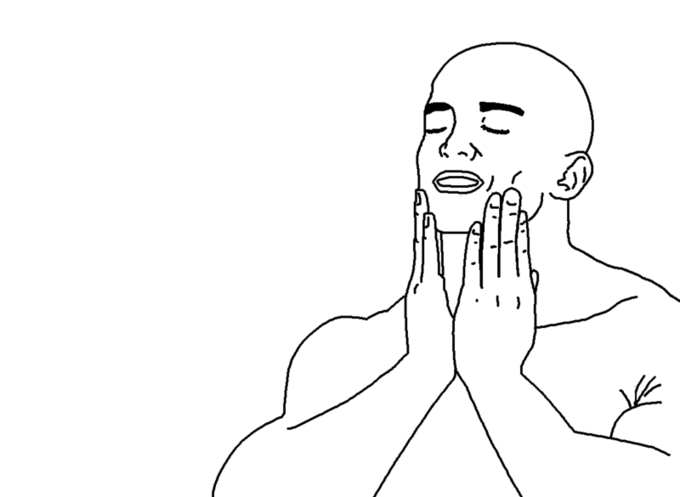 > The comment thread on this answer has been non-constructive for a while now. forgot to unnotify. So now my inbox is flooded. fp? But worth investigating previous comments. from what I read in the comments, the commenter already deleted any possibly bad comments. Anything that's left is no worse than "chatty". The other comments by other users are worse. Let's leave this to a mod. 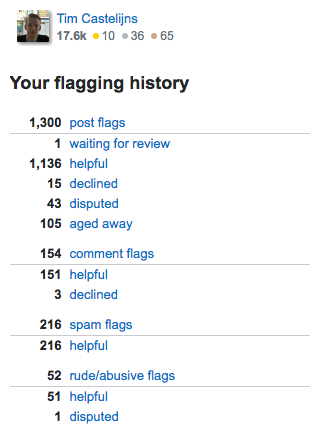 Flagging. yeah. This is why we elected them. To deal with such weird stuff. > The situation in comments is heated, there seems to be deleted comments and I am not sure what's going on, hence I am raising this flag. 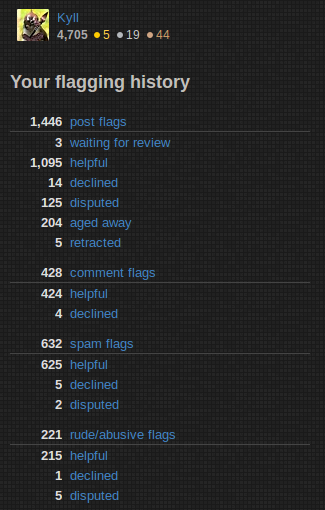 why do you always copy paste your mod flags here? Dunno. Lead by example thing? Just became an habit at that point. Lets me psychoanalyze the spearrel. Day 153: Still could not find any trace of sentient intelligence. So much rage on the internet. @PetterFriberg When was this exactly? Is anyone there? Please make some suggestions for improvement. @Queen You do nothing else all day then to read comments. I have never considered else all day then to read comments. I answer a lot of silly questions. @Queen do you make honey? @que test I answer a lot of silly questions. @ryanyuyu What are the ingredients?